The LoveFest Perth Collection captures the highlights from the LoveFest Perth event - to view the Collection click on the image below - or the link here. For a print version click the link here. Thanks also to David Sandoval Sandoval for graphic design of the resource. LoveFest is an initiative of the Museum of Love, part of the Celebrate Ageing Program. LoveFest was bought to Perth by GRAI with the support of the City of Melville and Alzheimer's WA and as well as: The Care Side, Hall and Prior Health and Aged Care Group, Chorus, SouthCare, Garden City Shopping Centre, Heart to Heart Connections, Consultivation and Lisa White, The Social Photographer. 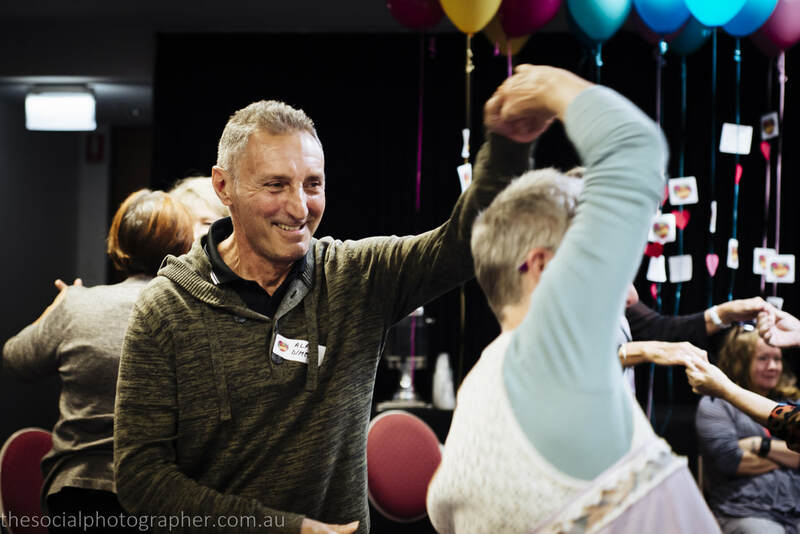 LoveFest Perth included a series of presentations by people with dementia, their families and friends to explore the importance of human connection, the challenges and strategies to address these. It also included an exhibition of portraits of local people with dementia kissing someone they love. Some of the photos taken by Lisa White, The Social Photographer are shared below. 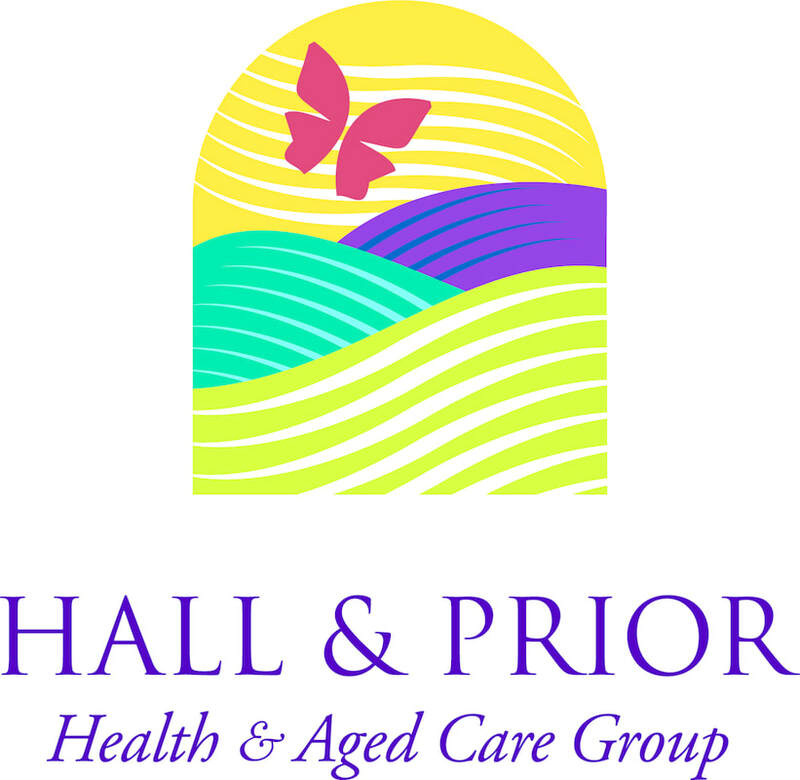 In the section below we share some of LoveFest Perth highlights - including the video welcome by Hon Ken Wyatt AM, Federal Member for Hasluck in Western Australian and Minister for Aged Care and Indigenous Health. 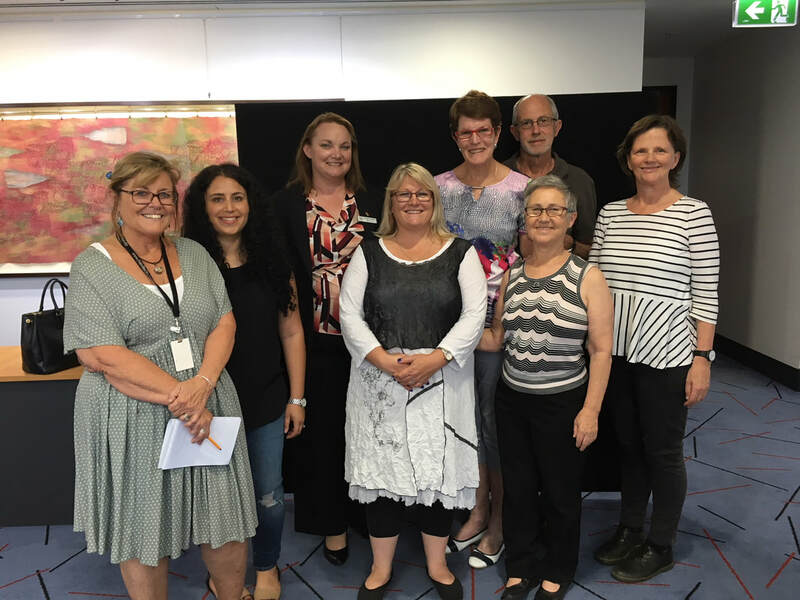 ​On the 3rd May, the City of Melville hosted a presentations event that involved 17 people living with dementia and their family members sharing their experiences and strategies. The presenters were invited to write a letter to someone with dementia and share it as part of their presentation. 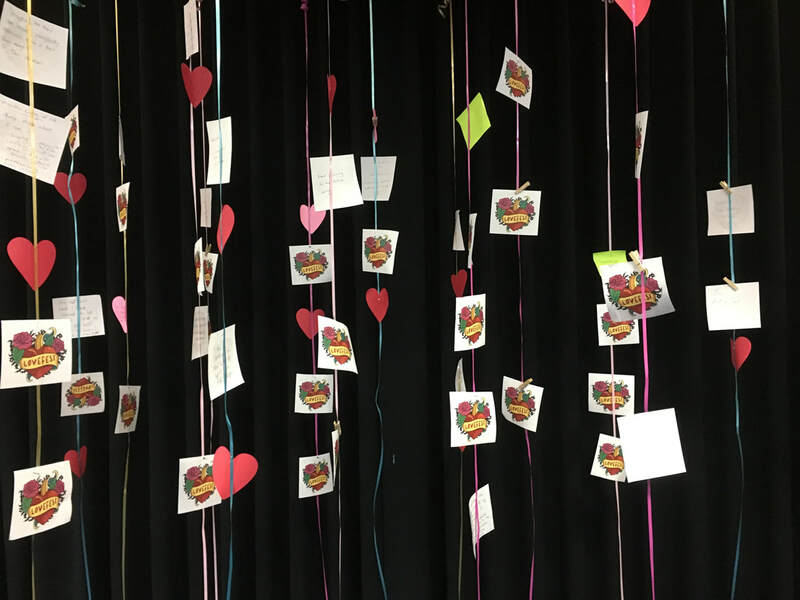 We captured their Small Acts of Love as they were articulated and have included them in this collection alongside the letters written by presenters. The letters are included in the LoveFest Perth Collection and we have included a video of the beautiful letter by Krishan Shah to his grandmother below. ​People with dementia and their families shared their stories about the importance of love, the challenges dementia presents and their strategies to address these challenges. The strategies are what we call Small Acts of Love. 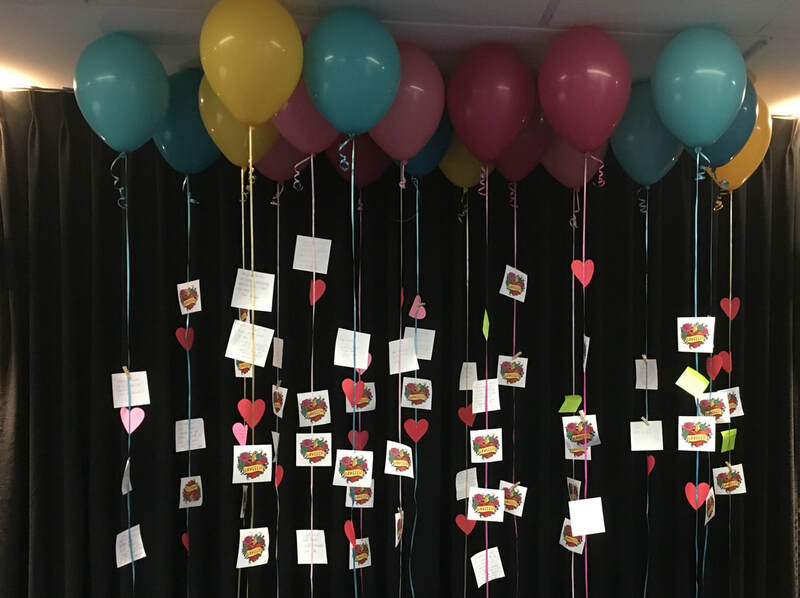 Over the course of LoveFest we documented Small Acts of Love on a pieces of paper attached to helium balloons – and invited participants to interact with the installation. A summary of the Small Acts of Love are included in the LoveFest Perth Collection. A Belonging Workshop was facilitated by Dr Catherine Barrett and Iris Whitelock. The workshop began by exploring what belonging means to all workshop participants. Then, three people living with dementia shared their stories about what belonging means to them. 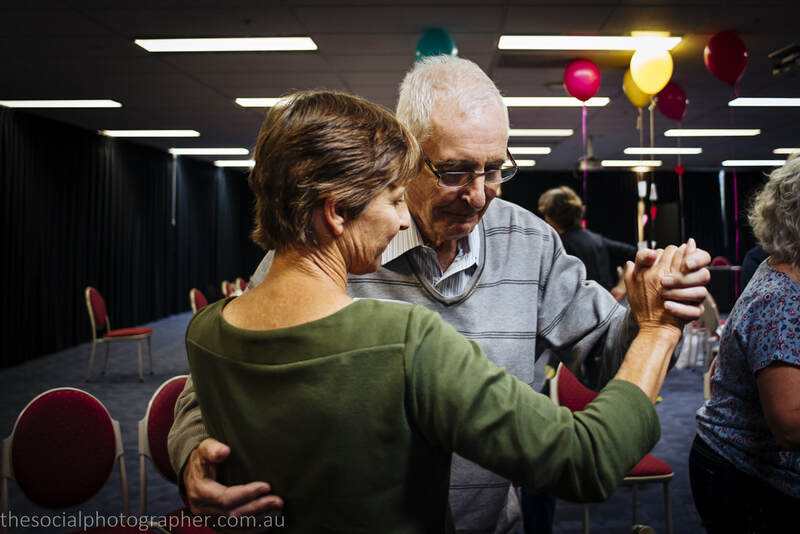 After these stories, workshop participants were invited to reflect on connection and belonging through shared movement – or dance. 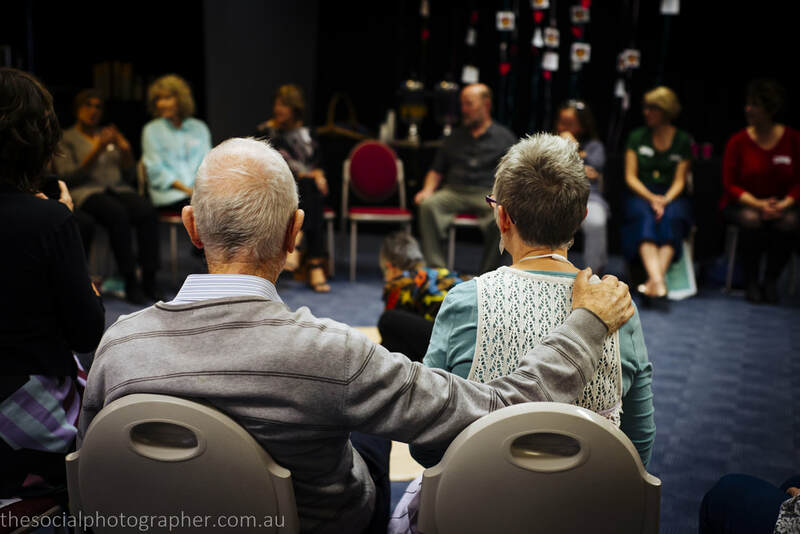 The workshop finished by inviting participants to discuss barriers to belonging for people with dementia – and strategies to promote belonging. Read more about Belonging in the LoveFest Perth Collection. 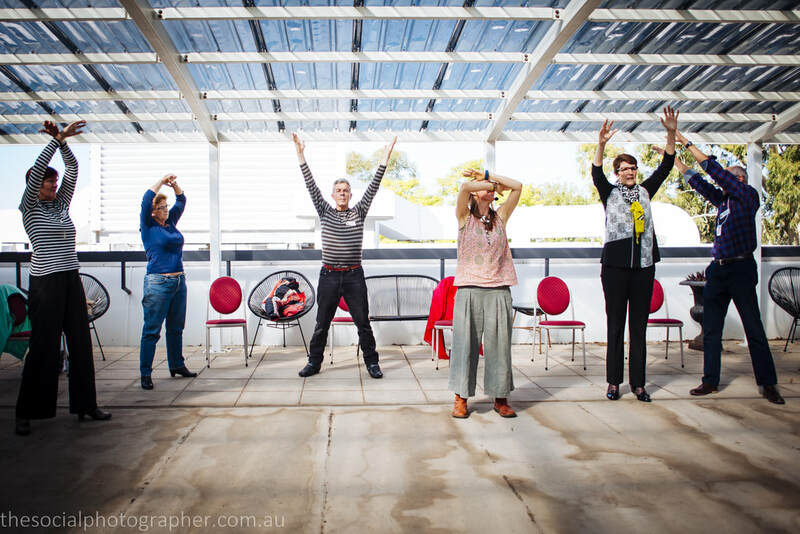 The Wu Tao Relaxation Workshop was facilitated by Emma Jack, a family carer, qualified Wu Tao Dance instructor and member of the 2016 Memory Bridge alumni. Emma’s vision is to provide creative and nurturing spaces for people with Dementia and their Carers to connect and enjoy life. 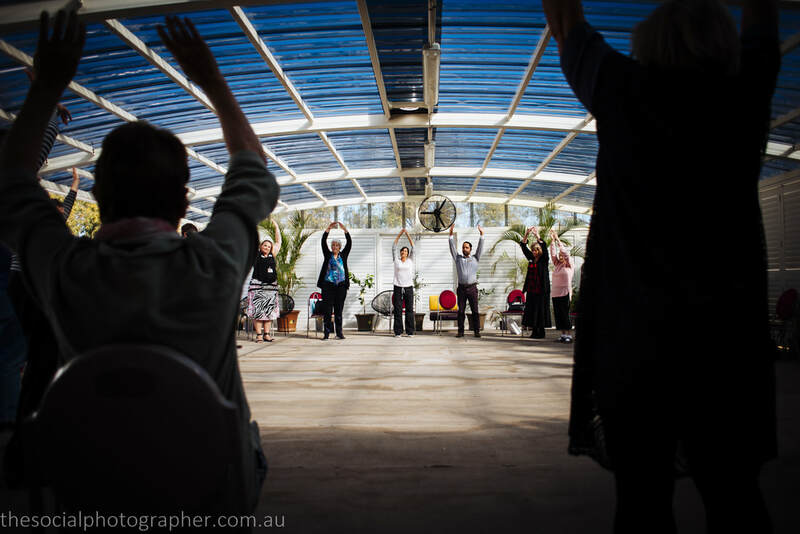 The Wu Tao workshop was a combination of beautiful movement, self-massage and creative visualisations to bring balance, harmony and joy. 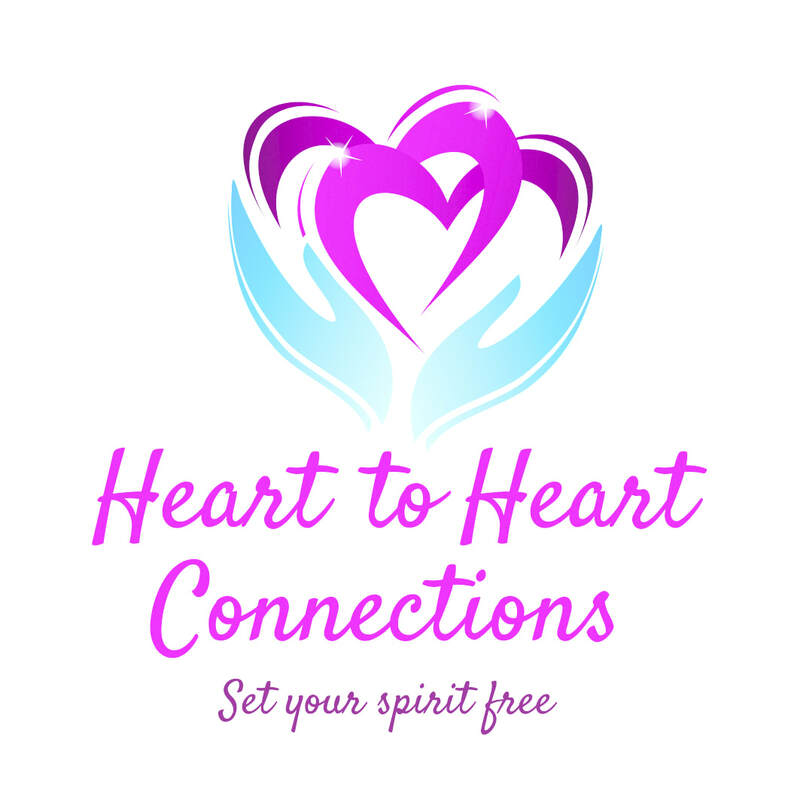 Participated reported feeling peaceful and connected to others. The Mirror is a collection of home snaps showing people with dementia doing something they love. 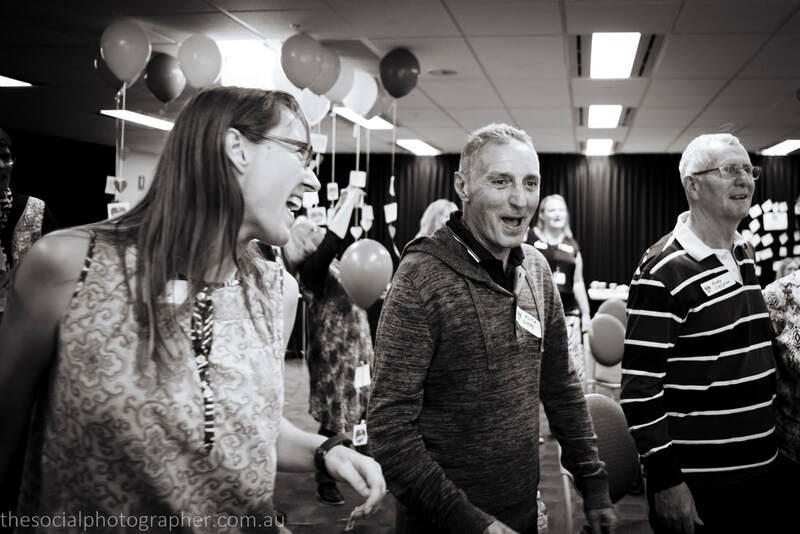 People in WA were invited to share their photos to help create a gallery of images that celebrate people with dementia. The gallery reflects back the joy of life and offers hope for those who are newly diagnosed with dementia – and for their families and friends. The gallery is included in the LoveFest Perth collection. 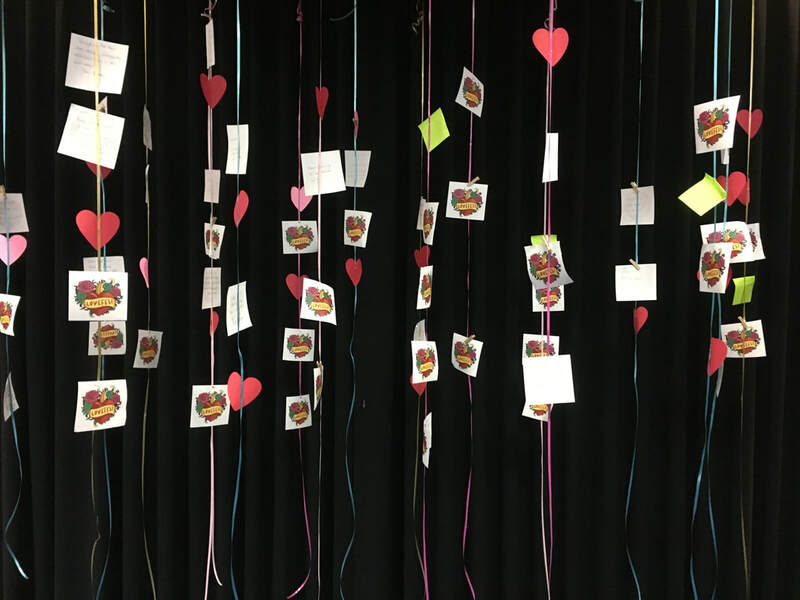 Forty one participants completed the evaluation survey provided prior to closure of LoveFest. The survey asked participants to rate the usefulness of the event on a 5-point scale ranging from: very useful (5), useful (4), moderately useful (3), slightly useful (2), not useful (1). Thirty-two delegates rated the event as very useful, eight as useful and one delegate didn’t provide a rating. The average usefulness rating for LoveFest was 4.8 out of 5. The moving stories from people with dementia and their carers, as well as supportive atmosphere. I particularly enjoyed interacting with a woman with advanced dementia who told me she loved me and kissed me on the cheek. If only more of us were less reserved! Wonderful day! Informative, inspiring and uplifting! Everyone has been so good to listen to. Stellar. A plus. Inspiring. I’m finding it … inspiring and am so impressed with the love that the carers show. I am in awe. Could I do that? Thank you so much to our Perth working group who have worked hard to make LoveFest Perth as success.